Don’t you love a good book? It has been a strong goal of ours to develop a love of learning in our daughter and one way of accomplishing that has been to provide good books and stories, whether it be in print, digital, or audio versions. AbiNoelle never turns down a good story! That’s why we agreed to a book review of I’d Rather Be Your Mommy by the Home School Adventure Co.
For our reviewing purposes, we were given a digital copy of the book I’d Rather Be Your Mommy by the Home School Adventure Co. along with digital versions of the Coloring Book and Print Set. 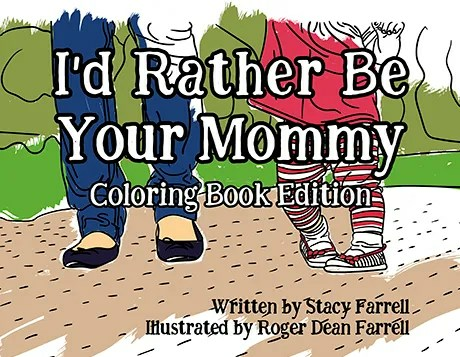 Stacy Farrell wrote this book years ago while her own children were just young ones. With the overbearing pressures of society on women to enter the job force and become a “success” in the business world, Stacy realized that the most important job of being “Mommy” is many times undervalued and the definition of success skewed by secular interpretations. 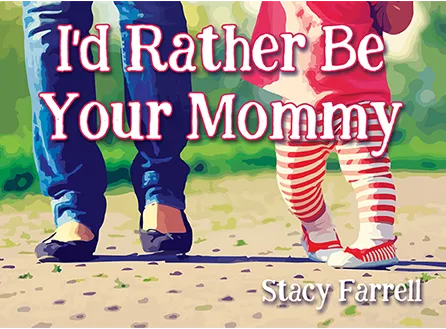 I’d Rather Be Your Mommy is a simple yet beautiful picture book that allows Mommy to share with her children through reading the overwhelming feeling that no matter what the world may say or present “I’d Rather Be Your Mommy” is her heart’s desire. What a pleasure it was to read these thoughts to AbiNoelle, giggle at the cute pictures, and enjoy our time together at home as Mommy and daughter. Truly, you couldn’t exchange those moments with any corporate salary package. The Coloring Book is certainly an added feature, considering that each page correlates with the pictures in the book. AbiNoelle loves to paint, so the water color effect of the pictures in the book serve as a great example to follow for her when trying to paint her own “illustrations” just like the book. The Print Set pictures follow the same design as the book and coloring book. The 8 ½ x 11 size make it the perfect solution for inexpensive yet beautiful artwork for a nursery, child’s room, or other area. Unfortunately, although the book is beautifully crafted and we do appreciate the Biblical approach of motherhood, we are not able to wholeheartedly endorse the set due to the printed Bible verse quotation from a source other than the King James Version and we look for visuals to support our Biblical philosophy of dresses for ladies. The book, coloring book, and print set include Psalm 127:3 in the NASB. Because we are committed to using the King James Bible, we do not completely recommend the use of the complete series.